May’s Mixtape is the outcome of our competition ‘Create a Mixtape and Accompanying Artwork’ and send it to us. Rather surprised we were when UPS delivered a package labeled “express” to our office – but further excitement was awaiting us. As we opened the well sealed box and moved some cooling elements, yeah thats right, cooling elements, the smell of fresh chicken appeared! 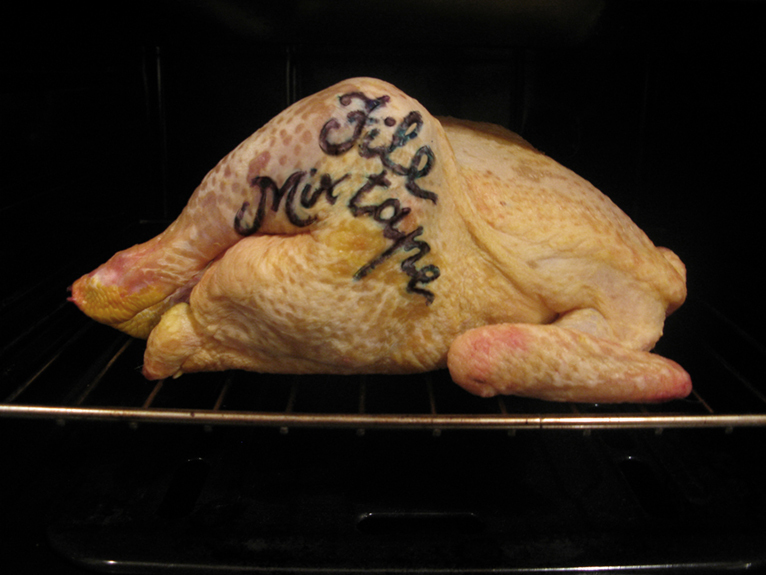 Out we dragged a fresh chicken, I would say weighing a good 1.2 kg, turning it on its side some lovely hand rendered type appeared ‘File Mixtape’ – what a submission! Its sender turned out to be quite an unexpected reader of FILE Magazine – 51 year old magistrate from Palermo, Sicily, Pietro Catterata. Mr. Catterata told us he is an avid magazine and art collector and apparently has a great collection of vintage magazines. 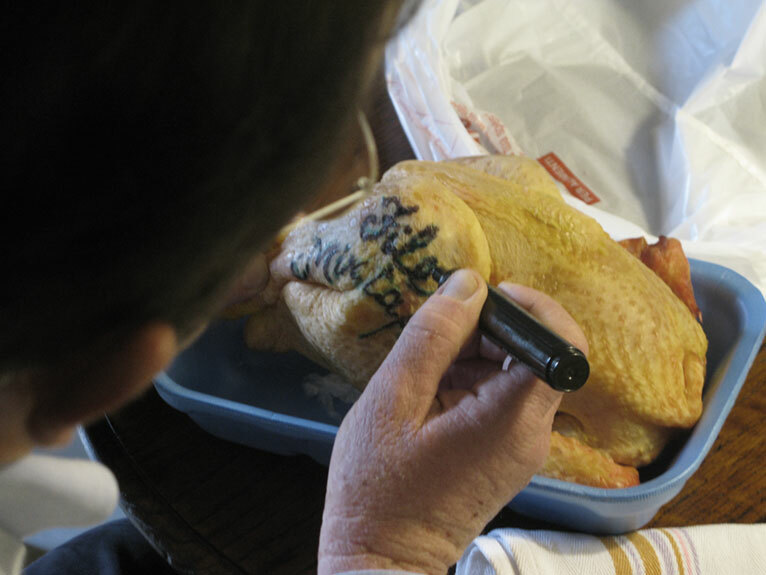 The magistrate also has a passion for drawing and wanted to combine this with another ardour of his – cooking. The chicken came from a local farm in a nearby small village, we cooked the chicken, a shame we can’t share the taste and smell with you – felt like being in sunny Sicily. What we can share with you is Mr. Catterata’s lovely selection of tracks for the Mixtape – best enjoyed in company with a piece of chicken. Click here to download Mixtape. A photograph shot by Pietro Catterata’s wife Angela whilst he was working on the type.